Kitesurfing, kiting, kiteboarding – whatever you call it – is one of the most exciting and addictive water sports on earth. 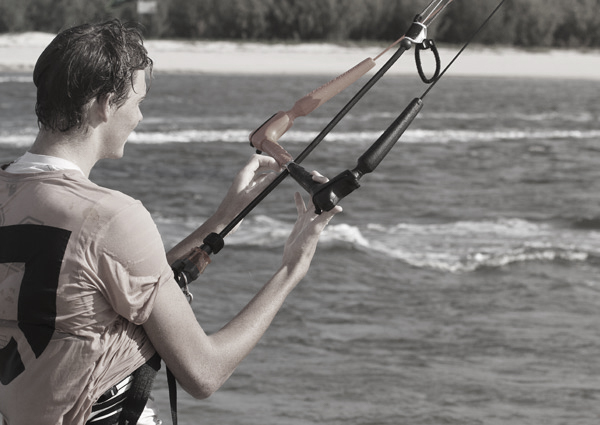 Kiteboarding lessons have come a long way, we tailor our lessons to suit each individual student and kitesurfing is suitable for people of all ages. 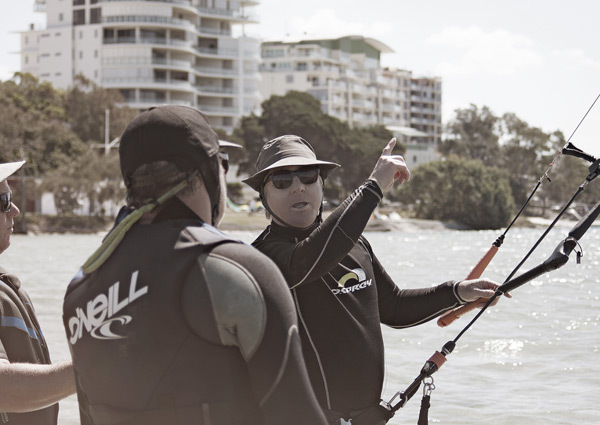 Kitesurfing Lessons Gold Coast school delivers one on one lessons from IKO certified instructors, giving you the most cost effective, safe and enjoyable start to your kitesurfing adventure. With locations ranging from Brisbane, Gold Coast, Byron Bay and Tweed Heads we have a safe teaching area near you for a variety of weather conditions. Whether you are looking at cruising the flat water spots, hitting the waves or laying down some freestyle tricks, our kitesurfing lessons are the safe kickstart you need to begin your journey. 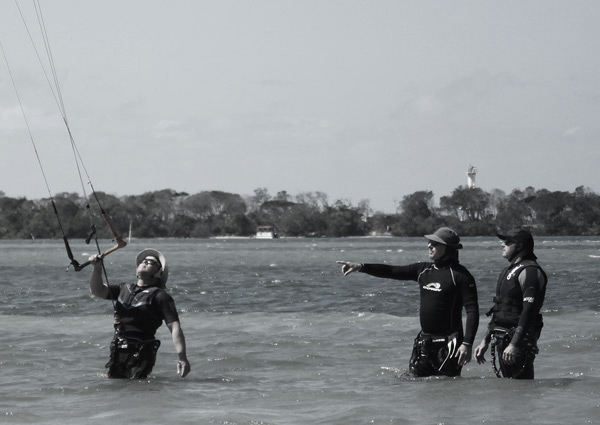 All instructors are extremely experienced and passionate kitesurfers with IKO qualifications. 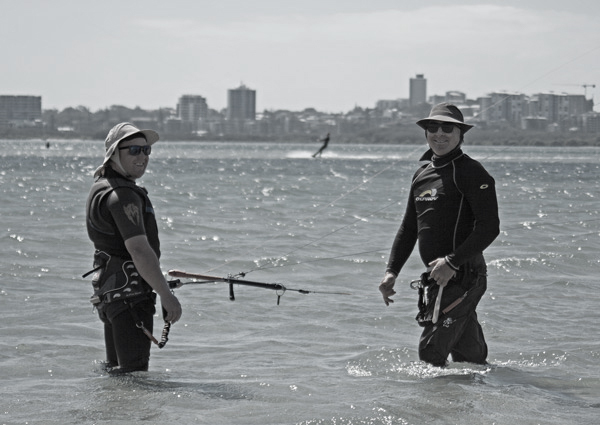 Kitesurfing Lessons Gold Coast supply all the latest and safest kiteboarding equipment. We use the latest Ocean Rodeo Prodigy and Flite kites that are stable, have a smooth power delivery and are robust and extremely safe. 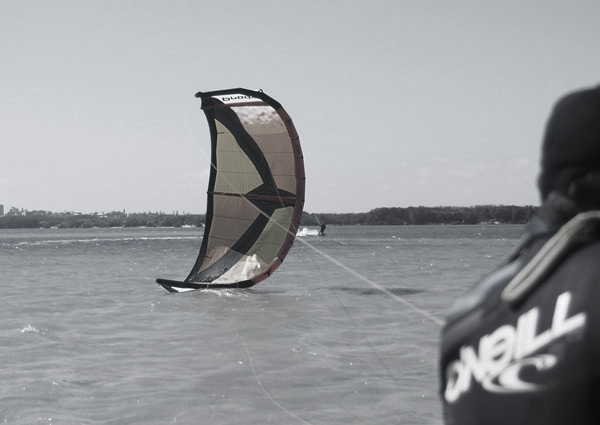 Our kiteboards are designed for easy planing and turning ability, enabling you to progress faster. You can read more our kitesurfing teaching equipment here. All our kitesurfing lesson equipment is current model and in excellent condition, ensuring you get the best kitesurfing learning experience. If you already have kitesurfing equipment, no problems, bring it along to your lesson and our kitesurfing instructor will inspect your gear and give sound advice on your equipment. BOOK NOW or call John on 0413 053 917 for more information. Our trainer is friendly & addicted to kiting, so we are always happy to answer any questions, help out with gear or to lend a hand.